But perhaps the most fascinating—and chilling—observation is that most saw a disaster in Iraq unfolding long before they were allowed to report it. As Jon Lee Anderson of The New Yorker puts it, various governmental authorities and the media’s own fears combined “to keep bad news away from the public,” an observation supported by over 21 stunning, full-color photographs—many of which have never been published before due to such censorship. 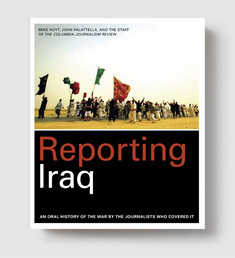 Collected by the editors of America’s most prestigious media monitor, the Columbia Journalism Review, such revelations make Reporting Iraq a fascinating and unique look at the war, as well as an important critique of international press coverage. MIKE HOYT is the executive editor of the Columbia Journalism Review, where he has written and edited many articles about journalism and its challenges. 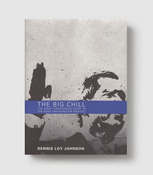 Before CJR, he was a freelance magazine writer, a copy editor, and a reporter for two dailies. He lives in Teaneck, New Jersey. JOHN PALATELLA is literary editor of The Nation. His essays and reviews have appeared in numerous publications, including The Nation, the London Review of Books, Bookforum and Boston Review.